The golf course was designed by Graham Marsh in 1997 and is a par-72, 6034 yard, 18-hole championship golf course. 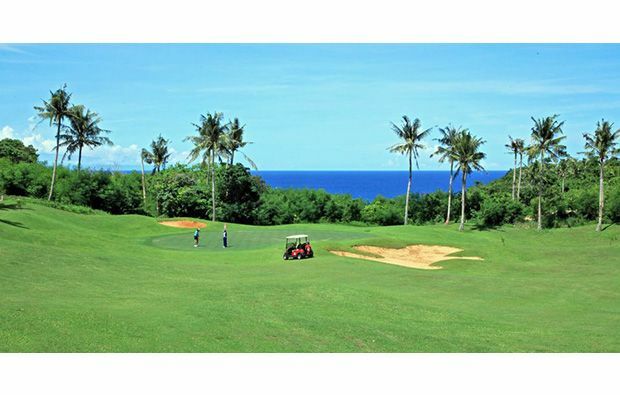 Fairways Bluewater Resort Golf Club is a traditional park land style golf course, with a hilly terrain, which offers lovely views of the ocean and surrounding area. 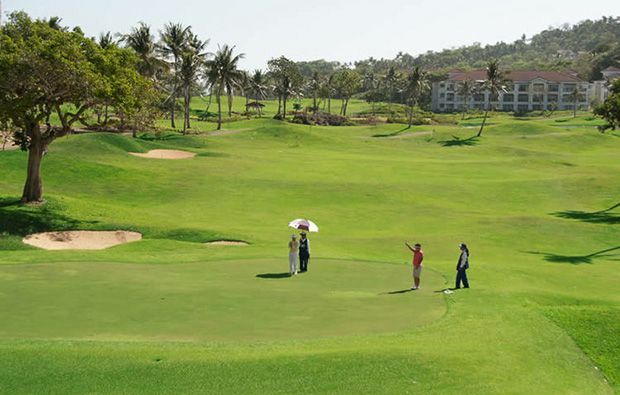 The course is very well maintained and features lush fairways and well-kept greens. Trees line the majority of fairways, without actually becoming too great a hazard, other than for the very wayward hitters in the group. There are a number of doglegs throughout the 18 holes and this evident from the first hole onwards. A number of bunkers play a part, some of them very large and water also comes in to play. Water hazards are found on the 3rd, 6th, 7th and 8th holes in-particular. Water runs alongside the 7th and 8th fairways, whereas the 3rd features a tee shot over water to the green and the 6th green is also found by crossing a smaller water hazard. Water must also be crossed on the 10th and 17th holes, making concentration and club selection important. Being a resort, there are a number of facilities on offer for those staying at the Fairways Bluewater Resort Golf Club. There are several swimming pools, a spa, gym, water sports facilities and tour options, so it’s possible to stay at the resort for a number of days and mix golf with the other activities which are available. Fairways Bluewater Resort Golf Club is a good golf course, in a tremendous location. It’s worth spending a bit of time here, getting to know the golf course and the surrounding area. 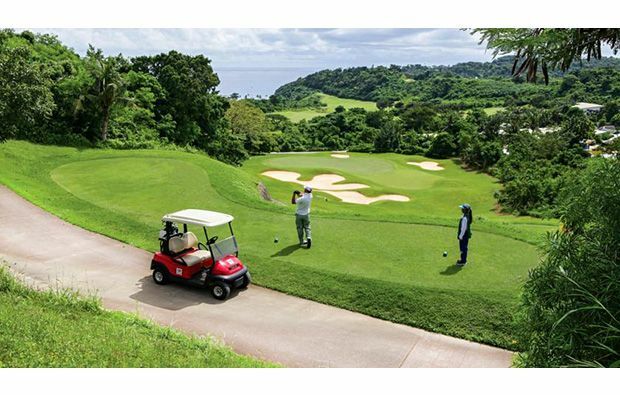 Fairways Bluewater Resort Golf Club has different Services to offer. Choose a date and number or players to see the rates.